GROWLS is grateful for the magnanimity of Friends who have stepped forward to better the life of our island animals. Please acknowledge these Friends and their contributions whenever opportunity exists. This website was funded by the Sa-Hali Fund @ Vancouver Foundation per the estate of the late Peter RU Stratton Esq. GROWLS salutes the generosity and the spirit of the late Peter RU Stratton. His vision was of a planet where all life forms are respected and cared for. Through this website GROWLS will strive to inform, educate and research towards the betterment of wildlife and wildlife habitat on Gabriola Island and beyond. Ted was born and raised in North Vancouver and resided on Gabriola Island, BC, Canada, with his wife Coralie for several years. Ted has always been interested in nature, but it wasn't until his early thirties that he bought his first field guide and developed a keen interest in birds. His involvement in photography also began in his thirties. With the merging of the two, wild bird photography became his window to nature and his passion in life. Ted's original and unique photographs of Pacific Coast wildlife have appeared on many front covers and in several popular bird magazines and calendars. He has also won local and international bird photography contests. Ted’s photographs in this web site attest to his exceptional talent as a professional wildlife photographer. Norm was born in Ontario and moved to Winnipeg, Manitoba, at age one. He acquired a Commercial Pilot Licence in 1965. His first flying employment was with Ontario Central Airlines, based in Kenora, Ontario, in 1966. Later that year he was hired by Air Canada. After a four-year assignment in Montreal, he transferred to Vancouver with his family, settling in Ladner, South Delta. After retirement from Air Canada (AC) in 1999, Norm continued flying as a contract pilot: for 2 years on the BC coast and 3 years in Alberta. 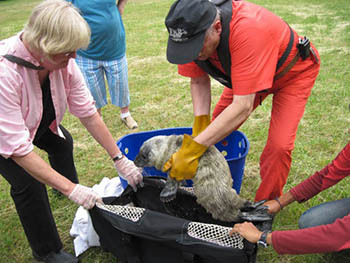 Wildlife Rehabilitation Society www.owlcanada.ca) which commenced in 1992. 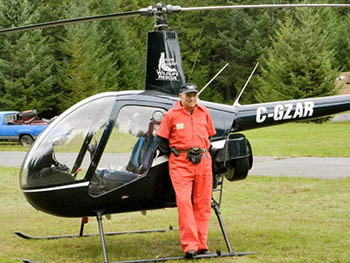 A helicopter was acquired in 1993, and was first utilized to rescue an injured eagle situated on an island in the Fraser River. The eagle rescue took a total of about ten minutes flight time but would have required about two hours to accomplish, if a boat could have been readily found to facilitate a surface rescue. Since 1993, approximately 1500 flight hours of wildlife rescue and support flights have been flown in support of 10 Wildlife Rehabilitation Centres. That amount of flying represents about 3500 hours of volunteer hours. Between 2000 and 2007, 324 animals and birds were air-lifted with 163 seal pups being the largest number of that total. need to care for and preserve its precious nature. We also have to be aware of how our actions and decisions affect the well being of all living beings and their environment. Caring for helpless creatures goes to the core of Bette Lou’s very being. When animals near her are distressed, she fully experiences their pain and confusion and hopes protection is there for all. As an active sportswoman and survivor of cancer, Bette Lou faced the loss of sports activities and turned to wildlife painting. 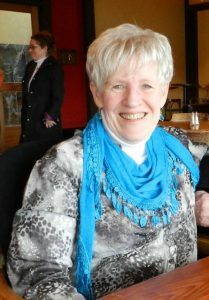 Her paintings have been a core fundraising contribution to GROWLS through the sale of her beautiful cards. Bette Lou’s life has been a testimony to the sensitivity and compassion we all need for the care of animals and their habitat. Bette Lou’s painting is now a business, Memories in Watercolour - “Capturing the spirit of wildlife and pets.” She can be reached at 250-247-0003 for commissions. Her cards of seventeen different images can be obtained through GROWLS or at her studio, 225 Gabriola Crescent. Proceeds from sales are dontated to GROWLS. Please leave a voice message (Note: only 1 minute available to record a message, give Name, Phone # and nature of problem).